To ensure the logotype is highly visible, always separate it from its surroundings. The area of isolation, or minimum required clear space, surrounding all logotypes should be half the logotype’s height on all sides as shown below. Do not allow any other graphic elements to enter this area of isolation. 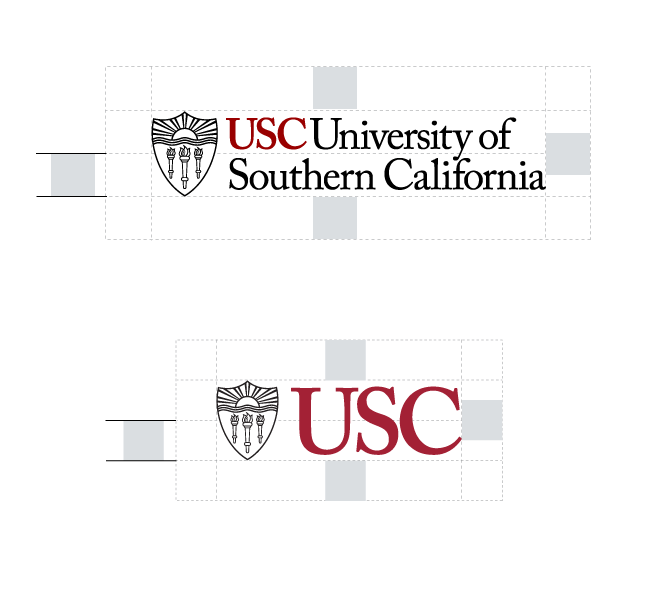 In addition, the elements of the USC Graphic Identity Program should not be placed over a photograph or patterned background.